Just because you’re wearing thicker fabrics, knits, and layers in the fall season doesn’t mean that you can’t be stylish! 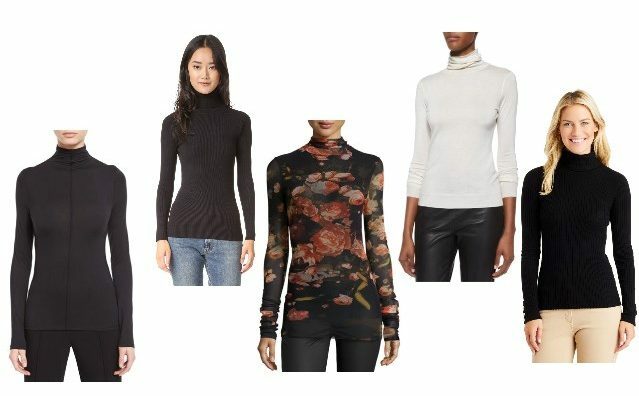 Enter the turtleneck: a simple, yet versatile top that can be thin and light to wear underneath a jacket or stand on its own with a bit more weight and volume. Both options provide warmth and comfort for your neck, arms, and torso. 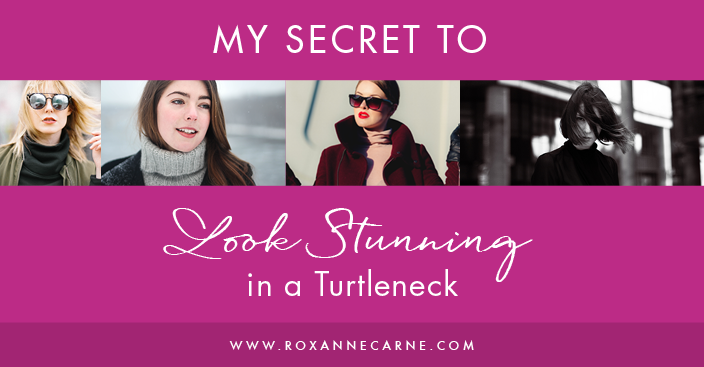 But what’s the best way to rock a turtleneck? Go for a fitted, yet comfortable turtleneck – Baggy, loose turtlenecks are not the business so don't bring these into your wardrobe. You know, turtlenecks that are boxy and square-shaped from the shoulders throughout the waist. Nope, no need for that here! Why not? They don’t define your shape or create the illusion of a shape so they’re no use to you. Instead, select turtlenecks that fit more closely to your body from top to bottom. They don’t have to be skintight but instead should play up your pretty silhouette and highlight your natural curves. Go for turtlenecks that offer a long torso – Avoid short-waisted turtleneck tops that end at the top of your pants waist (for regular rise pants). This gives the illusion of being shorter than you are and visually, it could possibly cut you in half. Instead, select turtlenecks that go two to three inches beyond that (or a little more dependent on your height). From the back, you want it to fall just at the top of your bum area. Wear properly fitting underwear – I’ve said it a thousand times and will say it a thousand more. Underwear is the most important part of any outfit. A properly fitted bra is essential to pull off a stunning look with a turtleneck. Remember, it’s your silhouette we’re talking about here. The ‘girls’ need to be supported and not droopy in this look (or any, for that matter!). Keep in mind that you want smooth, shapely lines not only in the bust area, but in your waist area as well! Fitted turtlenecks are a no-go if you’re looking bunchy underneath. If you have a little bit of a tummy or ‘rolls’ in your torso area, there’s a fix for that: a control undergarment bodysuit. Wearing a well-fitted control bodysuit will give you smooth definition and make you look amazing underneath that turtleneck! Keep your earring jewelry simple – Save the dangly, chandelier earrings for another outfit. You’re wearing a turtle-neck, remember? This is the perfect occasion to wear your studs, pearls, etc. – anything that fits close to the lobe and in understated. The attention needs to be on the turtleneck and your silhouette. Don’t distract from this with the wrong earrings. Sweep your hair up – If you have shorter hair, you’re all set and are officially looking fab with your turtleneck look. However, if you have longer hair, I recommend sweeping it up into a bun or a ponytail. 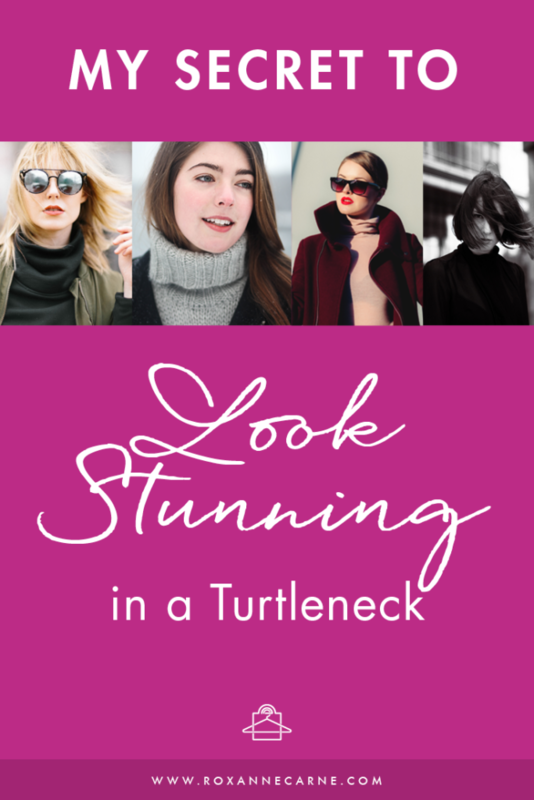 Getting your hair off of the shoulders will elongate your look and is the final step to stunning in a turtleneck top!